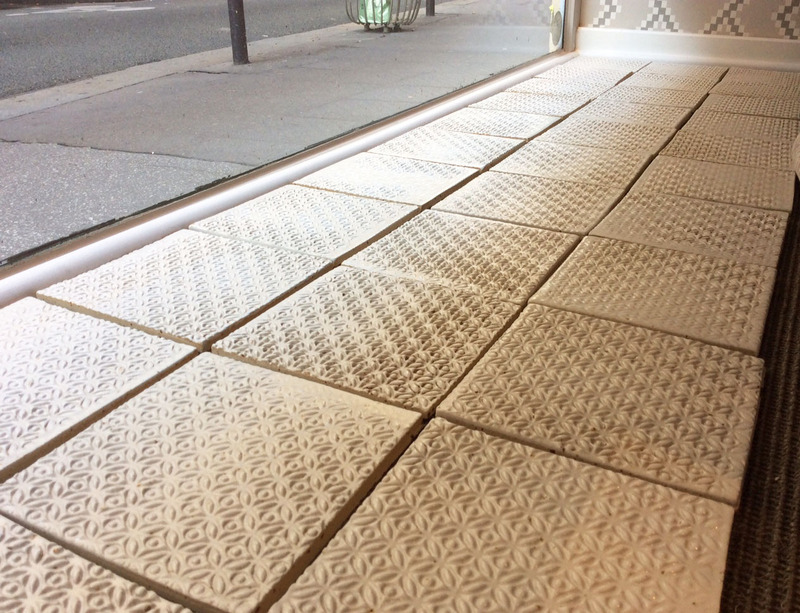 OUR TILES IN ROMO’S PARIS SHOWROOM! We were so delighted to be approached by the lovely Faye, who is the stylist at Romo fabrics, to be part of an exciting project for their showroom in Paris! Romo fabrics is renowned for their designer fabrics and wall coverings, offering stunning designs that are beautifully crafted. The Paris showroom will showcase their new collection called Soraya. 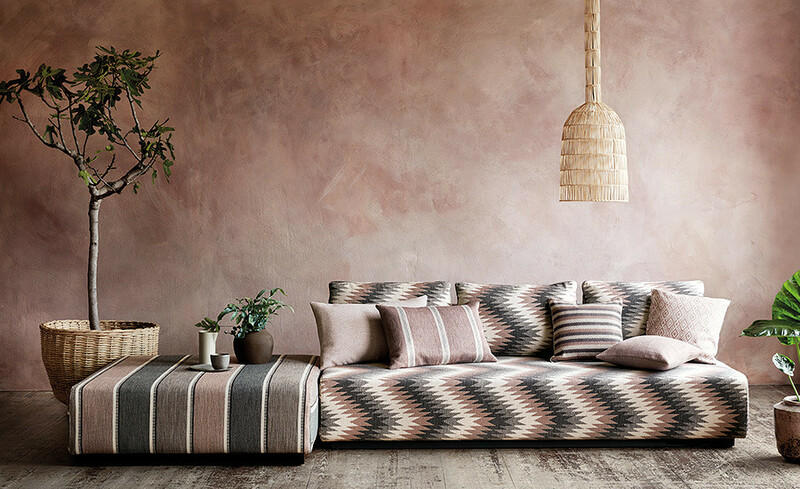 Soraya is a collection of upholstery weaves comprising of bold geometrics, block stripes and small scale diamond patterns. 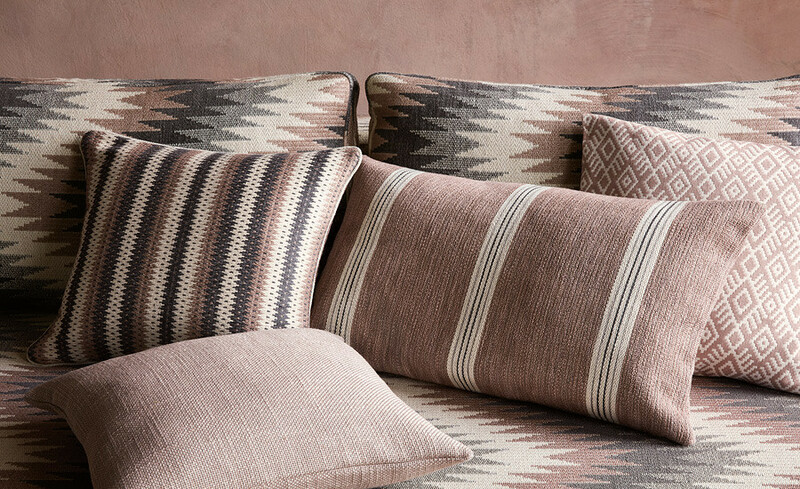 Inspired by decorative rugs, with global influences, this collection alludes to traditional Navajo and Berber designs. 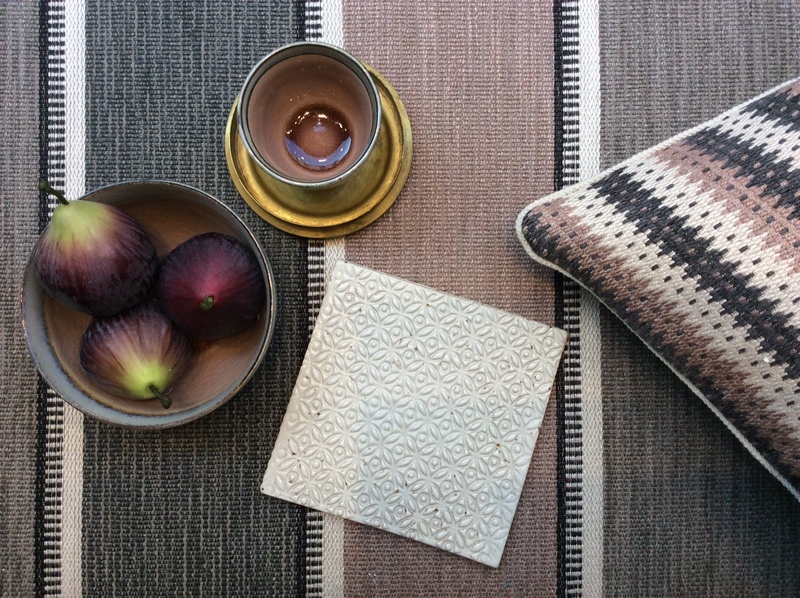 As part of the showroom’s window display, 45 of our Whitechapel tiles in the size 150x150mm would be laid along the floor, surrounded by a stunning array of fabrics. 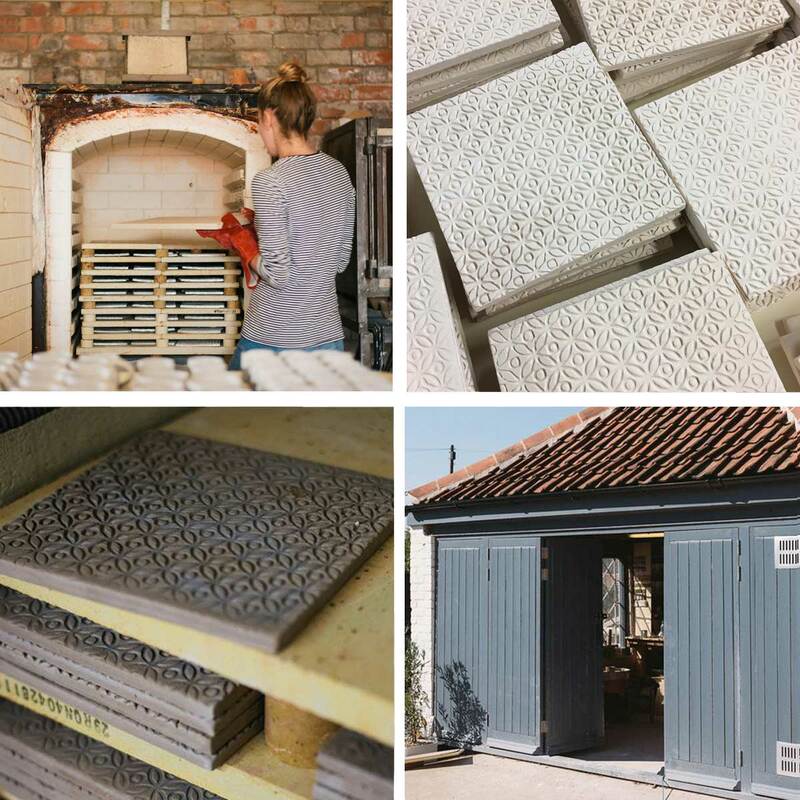 I couldn’t wait to get started on this project and I began the task of rolling, printing and cutting the tiles in our little ceramics studio, here at Cotes Mill. After a few weeks of crafting, I was then ready to put the tiles in the kiln for their first firing. This first firing is called a bisque fire and turns the tiles from clay to ceramic. This gives the tiles the perfect surface for me to apply our simple white glaze and then it’s back into the kiln for a final high fire. I was really pleased with the end results and carefully sent them on their way to Faye. 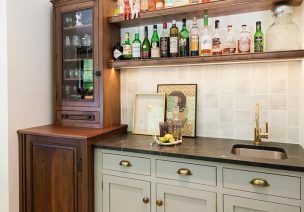 A few days later I received an email titled ‘Your tiles in Paris!’ I was completely in love with the results and the textured pattern from the Whitechapel tiles perfectly complement the charming rustic feel from the Soraya fabrics. Amazing to see our Floors of Stone poster in French! Its projects like these that makes the whole making process even more satisfying. 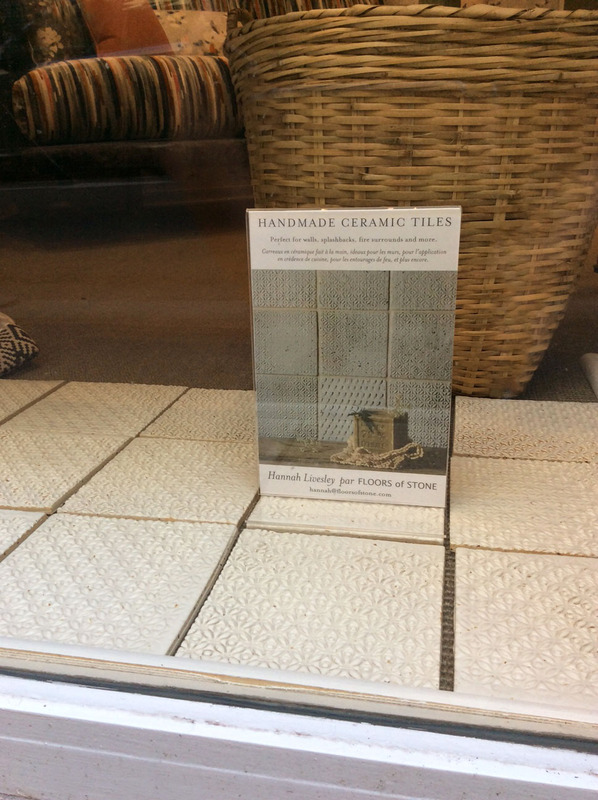 I love the thought that our handmade tiles are alongside high end fabrics, in a stunning showroom, located on a typical Parisian street. 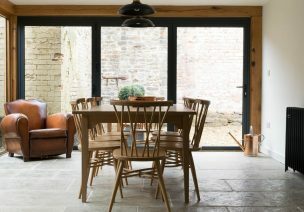 “When selecting items to feature in our windows we look to source unique and stylish pieces to complement our products and create a visual impact to make people stop and be enticed into our showrooms. 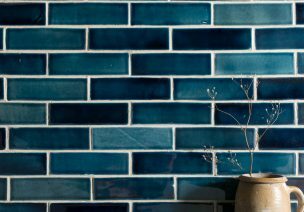 Our stylist Faye had her eye on Hannah’s hand made tiles for a while but was waiting for just the right project to come up. 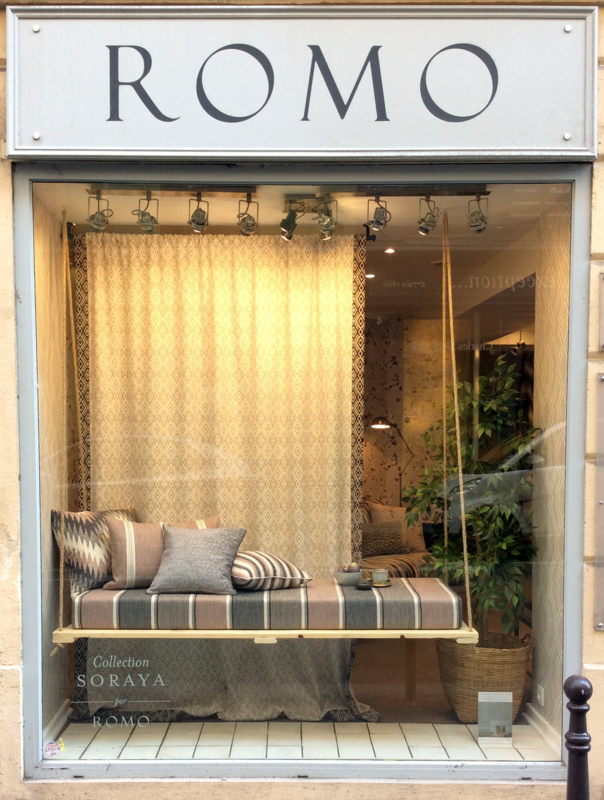 When the task came to create a window display of the new Soraya collection in the Romo Showroom in Paris she knew one thing which would definitely be on her mood board!